Includes 2 types of teat, one with nylon fabric and the other made of silicone. 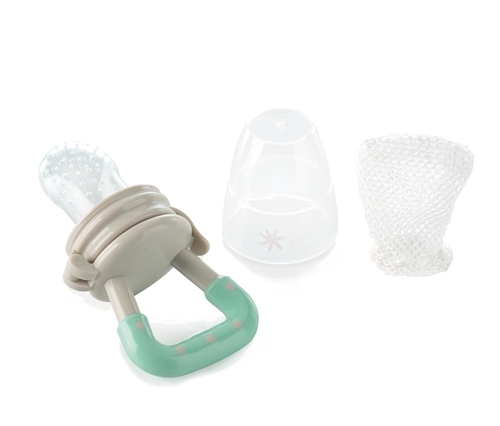 •The silicone anti-choking feeder is ideal for the baby to start trying out new foods and flavours. Includes 2 types of teat, one with nylon fabric and the other made of silicone. Both are dishwasher safe. Easy to use and quick drying! Two hygienic options that don’t change the flavour of food.